Entries to the Asylum - Friday 24th - Monday 27th June 2016. I have a few reviews and unboxings for you all in the next day or two, as well as my backlog of other articles, such as my thoughts on the rest of the E3 conferences, etc. Entries to the Asylum: Monday 6th - Saturday 18th June 2016. I apologise for not having these entries updated when they should have been. Have been a little overwhelmed here lately, with house things, job-hunting, oh and that little thing called E3. 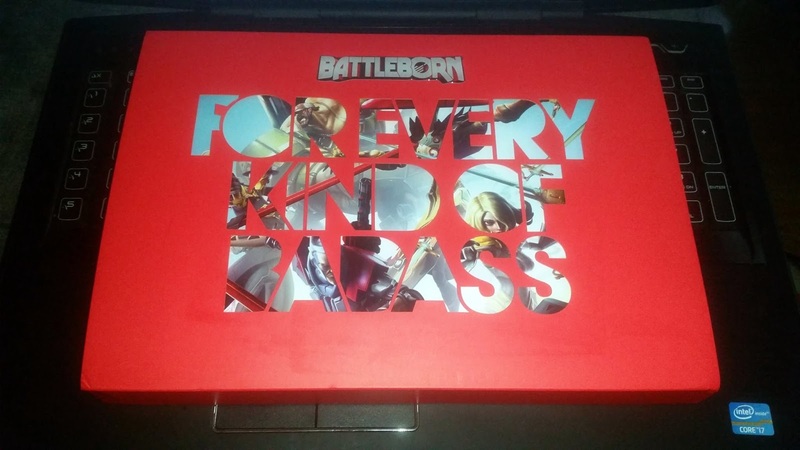 - Battleborn "For Every Kind of Badass" Press Kit. 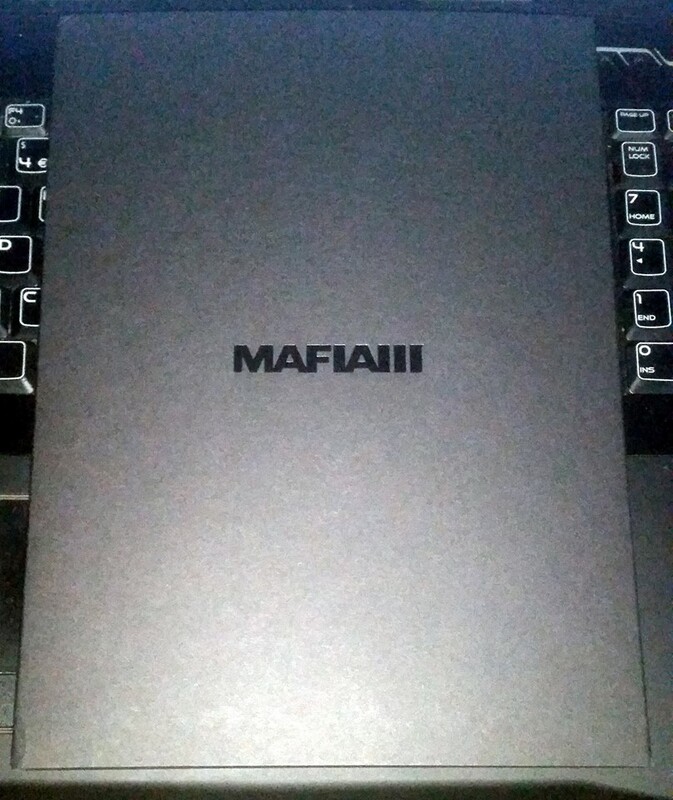 - Mafia III E3 Promo Travel Accessories. 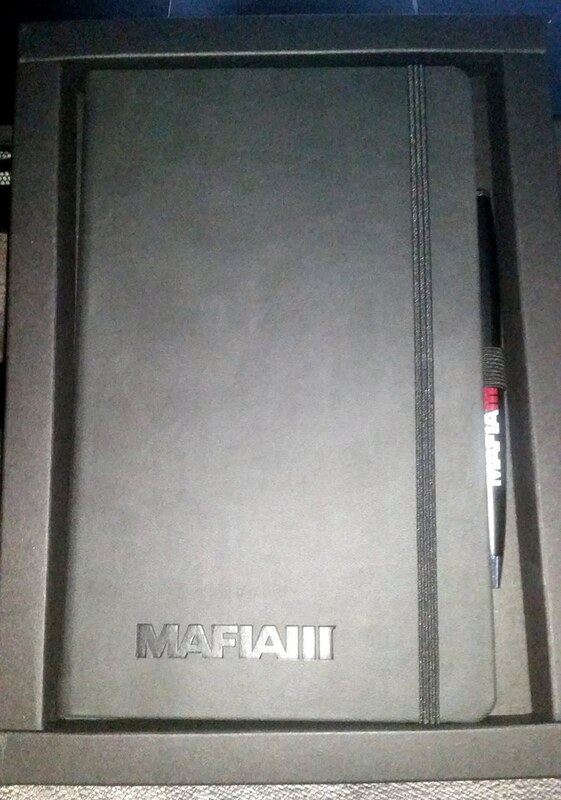 - Mafia III E3 Promo Notebook & Pen. So, so very honoured to have received these. I love them so much! They are so beautiful and of such very high quality, I'm so excited to see what other amazing goodies 2K come out with in future. - May 2016 IndieBox: Dust: An Elysian Tail. - Assassination Classroom, Season One Part One Limited Edition [Bluray]. - Insert Coin "Conker Club" Girly Fit T-Shirt. - Insert Coin "Rare Wear" Girly Fit T-Shirt. - Insert Coin "Banjo-Kazooie Music Academy" T-Shirt. - S.H. Figuarts Super Saiyan God Super Saiyan Vegeta Figure. - Home Free Kickstarter Backer T-Shirt. 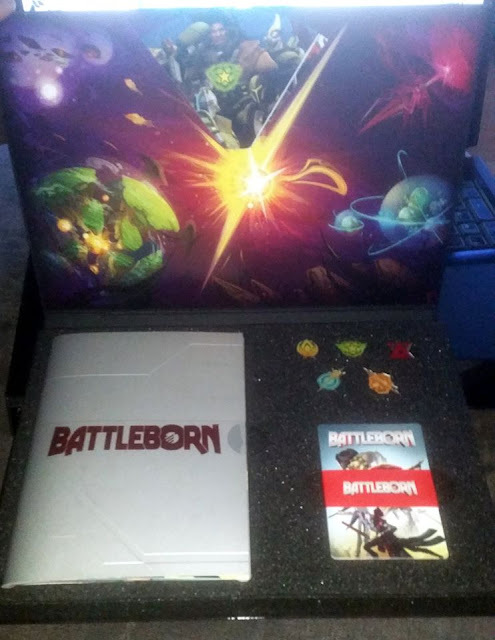 So glad to have this, and can't wait for this game! Unfortunately, since I've left it so long to write this post, I'm not sure if this is everything I've received since my last "Entries" post... Whoops! Anyway, what new stuff have you gotten recently? Bethesda's conference, like last year's, was great. We were a little off on our predictions - for instance, we didn't believe the Quake rumours - but we got to see a lot of fantastic footage, and we were very excited to see the return of Prey (albeit in a new form from what we'd expected). What we got to see of Dishonored 2 was fantastic. It was one of the most highly-anticipated games shown, as we all knew they'd show more, and we were all desperate to see it. The new game looks great, and with the option to play as Corvo or Emily it means you get the added benefit of a second playthrough as the other character. Gameplay mechanics look improved, with a lot more of the vertical space used, allowing climbing and exploration throughout the rooftops as well as the streets and alleys below. 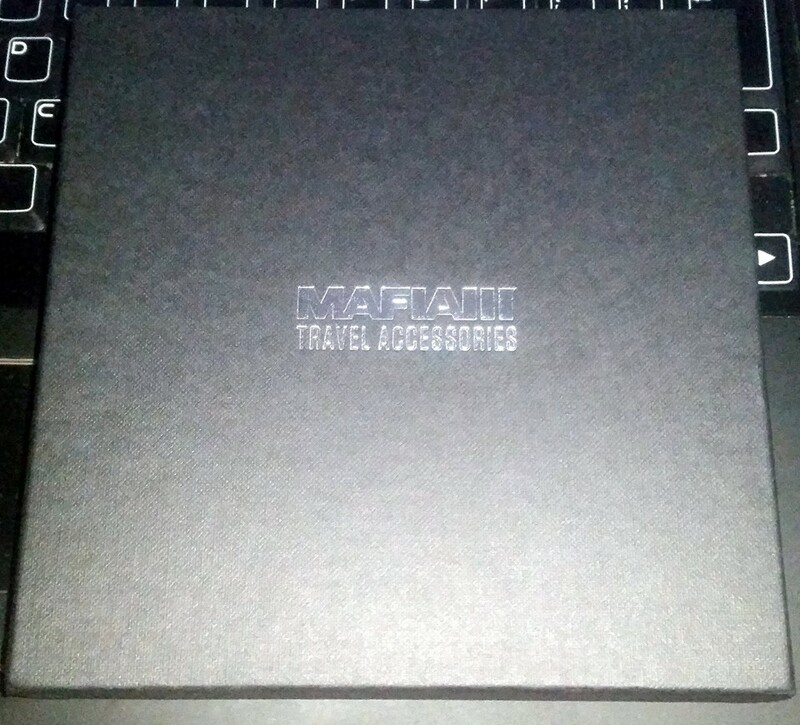 A Collector's Edition was also revealed, stated to be in very limited quantities. Shown below, it contains an awesome selection of stuff, and at £79.99 here in the UK - exclusively at GAME - it's very reasonably priced, too. This looked fantastic! A few years ago, the Prey sequel was cancelled, and it seems that Bethesda have reimagined it into an awesome looking first person sci-fi action game (with an added psychological twist), with Arkane Studios at the helm (yep, the same team that did Dishonored, so this should definitely be great). It just looks so good, and I really can't wait for it. It's expected for release next year on PC, Xbox One and PS4, so very excited for that. This one was revealed at much surprise to us here in the Asylum. Although there had been rumours of its possible reveal, we didn't believe it. Opting to believe (and hope) for a second Evil Within game instead, we were a little disappointed to see that wasn't the case, although the game admittedly does look good. Bethesda's card game will have a single player campaign available to play. Seemingly, you can build up quite a collection of cards through playing the campaign. A beta is up and running, for which you can sign up here. Whilst we're not really huge fans of games like this, I leave my judgement until I've played it (so naturally, have signed up for the beta). Something that many people were excited for, Skyrim being remastered! The graphics are superb, and having given up on it a long time ago (whilst still wanting to get back into it), this is the perfect thing for us here in the Asylum. I've been wanting to play it all for a while now, but could never summon up the effort to set up the 360 again, nor could I justify the time I'd have to spend on it, when I've already got a huuuuge backlog sitting there right now. However, with a remaster on current-gen consoles, this is just the push I need, since I won't have to bother with the 360. And with only a few short months till release, it'll no doubt be a top-seller over the holiday period. Well, there were a lot of big announcements at E3, but a few smaller ones were released too. Fallout 4 will be getting more DLC (with the first, named Contraptions, dropping on Tuesday) Fallout Shelter is getting a bunch of updates (as well as a PC release). Bethesda is going into the VR business with Fallout 4 and Doom getting VR releases for the HTC Vive. The Elder Scrolls Online is getting an update to add in more content with the Dark Brotherhood DLC, and also to remove the level restrictions, allowing everyone to access everywhere. Oh, and for some reason they also announced a new Blink-182 album, who were there to perform after the conference. Yeah, we're not entirely sure why, either. So what did you enjoy most about Bethesda's conference? EA showed us a lot of stuff at their "near-E3" conference. And a lot of it has really gotten us excited here in the Asylum. With the trailer showcasing some new abilities and maps, we certainly can't wait to play, and with the confirmation of a Multiplayer Beta, at least we won't have to wait till launch to try it out. Powered by Frostbite, Bioware promises this to be a bigger and better Mass Effect than ever before. "Alien life and civilizations. Worlds where adventure, danger and the unknown are waiting to be discovered." It certainly looks beautiful, although we wish that we'd gotten to see maybe just a little more. "A universe you'll lose yourself in." EA are using the Frostbite engine for Fifa this year, something that many have been a little confused about. Why do we need an engine that powerful for a football game? Well, it certainly does look great, and with a story mode known as The Journey, this year's Fifa is for sure different from previous years. The Journey follows the fictional player Alex Hunter, as he progresses through the ranks within the Premier League. This year's Fifa also, for the first time, includes managers, including the likes of José Mourinho. I actually really like the look of this year's title, which is odd as I've never really been a fan of football games in the past, but the story mode really steals it for me. EA is now partnering up with indie developers in order to bring more Indie games to the market. Supporting the developers financially, in order to introduce new developers and new games. The first game announced is Fe, from a studio called Zoink, based in Gothenburg. My first instinct was that the game was about Iron, with Fe being the periodic symbol for it. However, it turns out that it's actually a game set within nature. You play as a small cub, who connects with the forest and other creatures through song.Very stylised, beautiful art style. We got to see some amazing footage of the upcoming Battlefield 1, with an hour of gameplay shown after the conference, showing some of the biggest stars playing away. From Snoop Dogg, to Terry Crews, Zac Efron and Jamie Foxx, there were certainly a lot of famous fans, truly enjoying what was on offer. We got to see the massive 64 player multiplayer, as well as some fantastic gameplay of a Zeppelin being shot out of the sky, and burning to the ground - and to make things even better, when the Zeppelin burns away, it's metal skeleton remains on the ground, adding more destruction and realism to an already super-realistic battlefield. 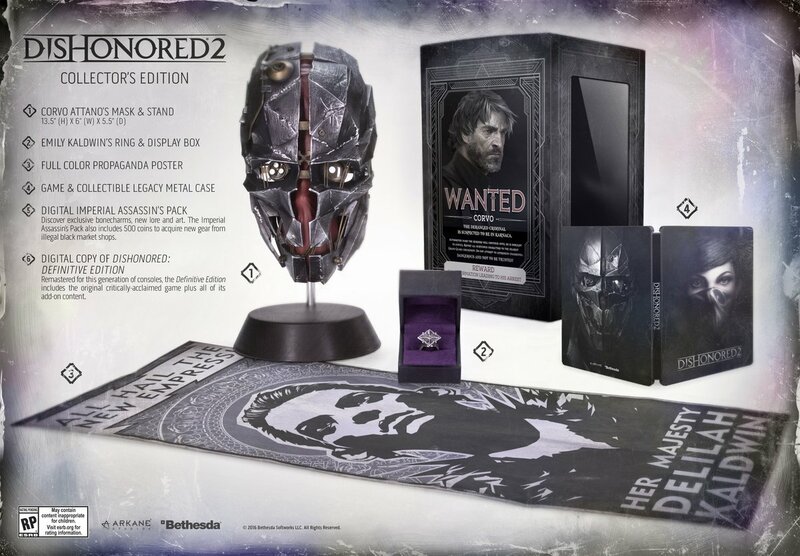 There's also a pretty sweet Collector's Edition of this game (shown prior to E3), which is quite expensive at £179.99. We were pretty hesitant about preordering it initially as we aren't normally fans of games like COD and Battlefield, but this game just looks beyond amazing, so now we've got our preorder in! We also got to see how all of EA's Star Wars games are coming along. Currently, there are quite a few of them, all in development with Visceral, BioWare, Capital Games, Motive, Respawn and DICE, and we got to see some sneak peeks at these upcoming projects. Safe to say, EA has lots of things in store for us all! What did you like about EA's conference? Last year's E3 shaped up to be a very exciting one, Bethesda's conference in particular, where we were treated to lots of new stuff, including the epic Fallout 4 "out this year" reveal. So naturally, we're very excited for what this year has to offer from all of the conferences, as I imagine that everyone took note from Bethesda last year. Below is our predictions for things we think we'll see in specific conferences, and then stuff we think will happen, but can't narrow down to which one we'll see it in. EA are a strange one. Being a company well known for their sports games, there is no doubt about it that sports titles will outnumber their other stuff. Titanfall 2 will also dominate their conference, as well as Mass Effect: Andromeda (which will expectedly steal the show if they do decide to give us what we want!). Allan also thinks that another indie title is likely to be shown, especially after the success of the beautiful Unravel, which was revealed at last year's E3, and was released just a few months ago. Two Star Wars games are currently in development at EA. Could one possibly be the successor of the cancelled 1313? We think it will be very likely for it to be what 1313 was going to be, but probably with a new name. Rumours have been flying regarding Skyrim possibly getting a remaster. It has now shown up on Base.com, with a release date of 23rd November, and the title Skyrim Definitive Edition. Obviously this doesn't necessarily mean it's real. It could have been added afterwards, however it does seem likely that a remaster is something they'd be working on, and we did feel that it was to be something they'd announce at some point soon (even though we would prefer something else). Also surfacing were rumours of Quake, however we believe that it is more possible that they've been working on a new Wolfenstein, especially given how good The New Order was. A follow-up to The Evil Within is also hopefully going to be shown, as it was fantastic, and such a hit for them that a sequel is bound to happen. Prey 2, despite being officially cancelled back in 2014, could also make a re-appearance. Fans have been clamouring for it for quite some time, and with various rumours and possible outings surfacing all over in the past year, now seems as good a time as any for Bethesda to finally re-announce it - especially if it were to be dropped this year a la their Fallout 4 reveal last year. And lastly, despite the floating rumours of a follow up to Skyrim, The Elder Scrolls VI, we don't see this happening anytime soon. Another year or two away, at least, for an announcement. Bethesda are still supporting Fallout 4 with DLC and mods, and with all of our predictions above, there is just no way on Earth that they'd have been able to have been working on this, as well as some of our other ideas. Gears 4 will be shown in great detail, probably headlining the whole Microsoft conference, along with Halo Wars 2, naturally. Crackdown 3 will hopefully get a good deal of show-time too, along with a release date. Rare will also show off Sea of Thieves, hopefully giving us its release date. 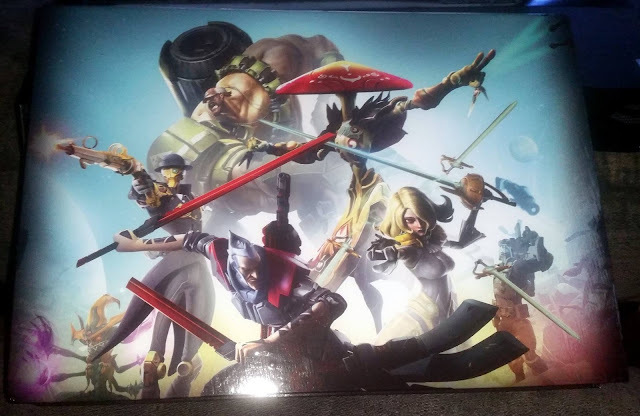 We really loved the look of it, and being huge fans of Rare, we are desperate to get our hands on this. Allan suggested the new game from the creators of Limbo, Inside. So hopefully we will see that. We think that Scalebound will also get its release date, rumoured to be 31st March 2017. New gameplay footage, also. We were so excited by this game, so for it to be pushed back is a little annoying, but if it makes it a better game in the long run, and if they keep our interest by showing it off at E3, then that will satisfy us for now! ReCore will also hopefully be shown a lot, and we expect that it will get a release date of sometime later this year (as 2016 was the window they were aiming for initially). Dead Rising 4 will hopefully also be shown. With talk of it being a remake of the first, but no official announcements yet, our thoughts on it are, if it's a remake we'll be happy. But, we probably would be happier with another installment altogether. The 4, which seems confusing if it's a remake, could allude to 4 player co-op (think Left 4 Dead), which is also something we wouldn't mind seeing. And for the love of God will you give us Cuphead, finally!? With no Assassin's Creed game this year, Ubisoft have lost their usual predictions from us. Obviously they will be showing Watch Dogs 2, after it's recent leak then announcement. Ghost Recon: Wildlands will also get some footage and promotion, and we also have a feeling that we may see another Rayman (and AJ will certainly be over the moon if that's the case). For Honor will also undoubtedly be shown, and lastly, we cannot forget the brilliantly titled South Park: The Fractured But Whole. We loved The Stick of Truth, so really looking forward to this one, so hoping to see more of it at this E3. And will they show off the Assassin's Creed movie? I think it's likely they will. While Allan has now moved into the "not thinking a new Crash Bandicoot will be announced" team, I am still firmly (if desperately) believing that Crash must be shown. 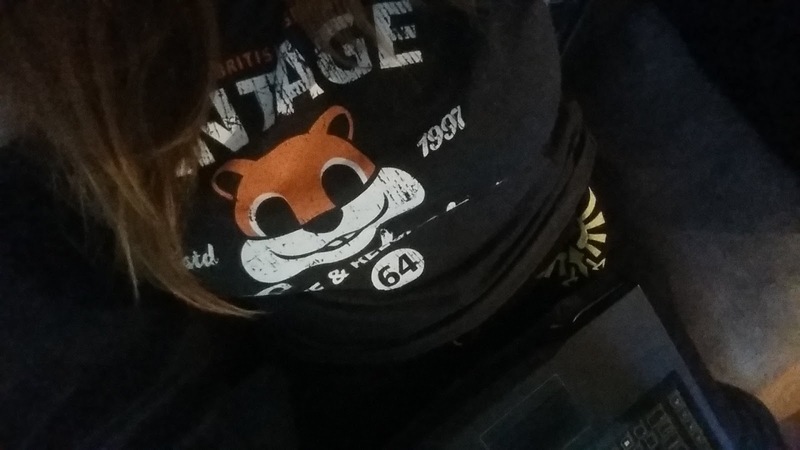 From the t-shirt Shawn Layden wore at PSX 2015, to the Uncharted 4 demo crashing during E3 last year, and finally the playable level during the story of Uncharted 4, too many things have pointed to Crash, sending the internet into a frenzy. With Naughty Dog still outright denying the ownership of the Crash Bandicoot IP, Allan's viewpoint does certainly have some sense to it (which I am vehemently forcing out of my mind - give me a new Crash damnit!) - his thoughts are that instead of a new Crash, or even a remaster being announced, that the hints were all just pointing towards all of the old Crash games becoming playable on PS4. We'll also undoubtedly see more of PlayStation VR, with titles such as Until Dawn: Rush of Blood and Psychonauts in the Rhombus of Ruin likely to be shown as well. And speaking of Psychonauts, we'll hopefully see a little of Psychonauts 2, especially since the first one has now been put up on the PS Store in the US (coming to EU soon). And lastly, PlayStation 4K, codename Neo could get a little show-time. Although we've been told not to expect it, I feel that at least a nod to it is likely to happen at some point during the conference, especially considering it has now been officially acknowledged and confirmed by Sony themselves. Shenmue III will definitely be shown off. With a release window of late 2017, and with development being well under way, we'll definitely see it in some form. Delayed into 2017, we have Horizon: Zero Dawn. 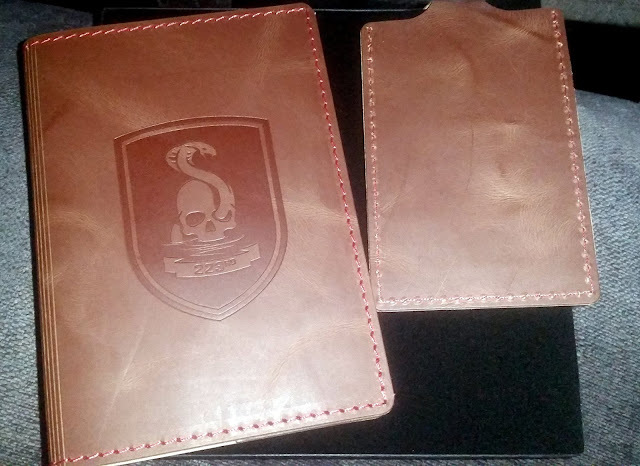 An unexpected reveal from Guerrilla last year, it instantly ticked all the boxes for a lot of fans, us included. It's absolutely sure to be shown, to keep us all excited for it, and let us see a little more of what it has to offer. No Man's Sky will be shown, especially given it's slight delay. No doubt with lots of promises that it will definitely be released this time. And lastly (no pun intended) The Last Guardian, will be there for sure. Planned for release this year, and after far too long of a wait since it's initial announcement, it definitely cannot be pushed any further away now, so we have to get a release date. Have to. If we don't, then I'll be extremely surprised - why would they bother showing it again last year to have it in a perpetual state of delay again? And for things with Last in the title, could we be seeing The Last of Us 2? We certainly hope so. Nintendo are bypassing an E3 conference and their usual Nintendo Directs, instead to do an all day stream via Nintendo Treehouse, from E3. Mainly only showing the new Zelda, apparently not showing anything to do with NX. We feel that they’ll obviously be showing a buttload of gameplay, and when showing a trailer of the new Zelda, at the end it will state RELEASE DATE, for Wii U and _______. Announcing the name of the new console, but brushing it off as (almost) nothing. Will also talk about Miitomo, as well as likely some Amiibo talk. And will promote their eShop sale that is taking place after E3. Second day of E3 they will likely show off other upcoming gamges for Wii U and 3DS. Cyberpunk 2077 has already been nixed as getting a showing at E3 this year, however we highly doubt that CD Projekt Red will decline to show us at least a little something. It was announced a while ago now, and despite the fact it looks like they'll be shaping up to "announce" the newly-leaked Gwent, we think that they'll still show us Cyberpunk in some form - likely another teaser trailer. A little gutted as we'd love to see lots more of Cyberpunk 2077, but since it's probably going to be so far in the future at this point, they likely won't have much they can actually show us. Volition’s new game Agents of Mayhem will be shown. More characters, gameplay and possibly a demo? But that all depends on when in 2017 it is set to be released. Destiny: Rise of Iron will be shown, to be released in September. Given the amount of players I know that, despite loving Destiny, dropped it, only to return for a while after The Taken King, and then drop it again, they'll definitely be wanting to bring the player attention back on to them. Sloclap and Devolver Digital’s Absolver to be playable at E3, so we'll probably see a little bit of it at some point during the PC conference. With Gearbox's news of Borderlands 3, we hope to also see that during E3, no doubt coupled with news of future Battleborn characters. 2K will of course be showing off Mafia III, which we really can't wait to see more of. It looks amazing from what we've seen so far, so really looking forward to what else they have to show us! Warner Bros confirmed 16 new franchises for LEGO Dimensions 2nd year, so surely these will be shown off in some capacity at E3. The list comprises of Ghostbusters, Harry Potter, Fantastic Beasts and Where to Find Them, Adventure Time, Mission: Impossible, The A-Team, The Lego Batman Movie, The Goonies, Sonic the Hedgehog, Teen Titans Go, Lego City Undercover, Knight Rider, Powerpuff Girls, Gremlins, Beetlejuice and ET. And lastly, we will of course see Final Fantasy XV and Kingdom Hearts III. Hopefully with a lot of new footage. After the Final Fantasy XV demo, I'm really hoping we'll see something similar for Kingdom Hearts III. So that's what we think is most likely to happen. There are a few other things we are hoping for, but know are unlikely, or things that have already been confirmed (therefore need no further speculation). So what do you think will happen during this year's E3?